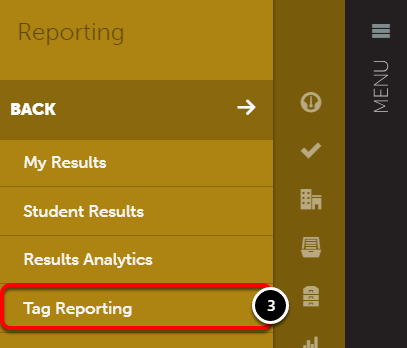 The Tag Reporter enables you to quickly and easily view all items that are tagged a certain way in your Chalk & Wire site. You may search by singular tag, or look for items that are tagged with a specific combination of tags. 6. All tags in your system will appear in an interactive "map" on the screen. 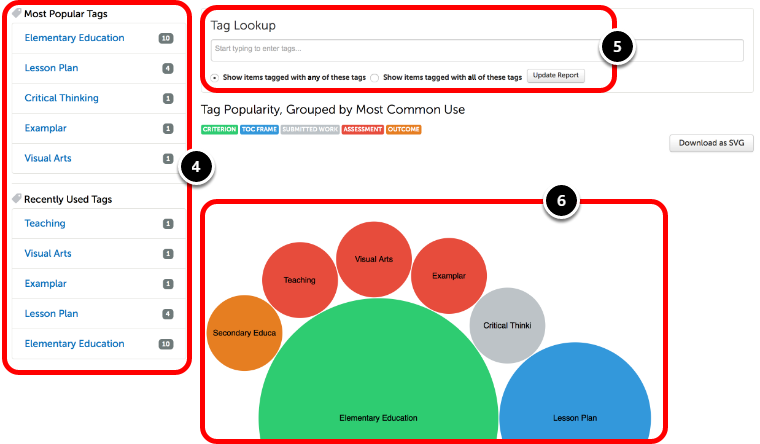 The colors of each circle indiciate how that tag is primarily used (i.e tagged criteria, assessments, table of contents frames, etc.) Click on any of the circles to view items in your Chalk & Wire site which utilize the tag. 7. Before you begin reviewing items that are tagged with your selection, you may use the Tag Lookup or click on the Back to Popular button to add tags to your search. Searching for multiple tags will display items Tagged with any of these tags or Tagged with all of these tags, depending on your select in Tag Lookup. 8. All items tagged with your selection(s) will appear organized by type. 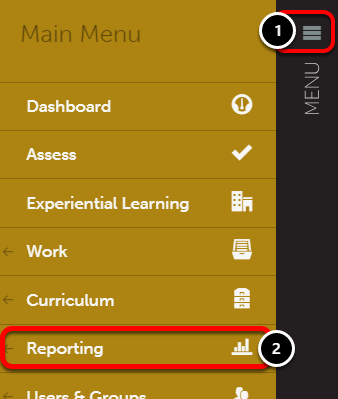 For example, all criteria that are tagged with your selection(s) will appear under "Criteria". 9. Click on the blue link for the item to reveal more information. 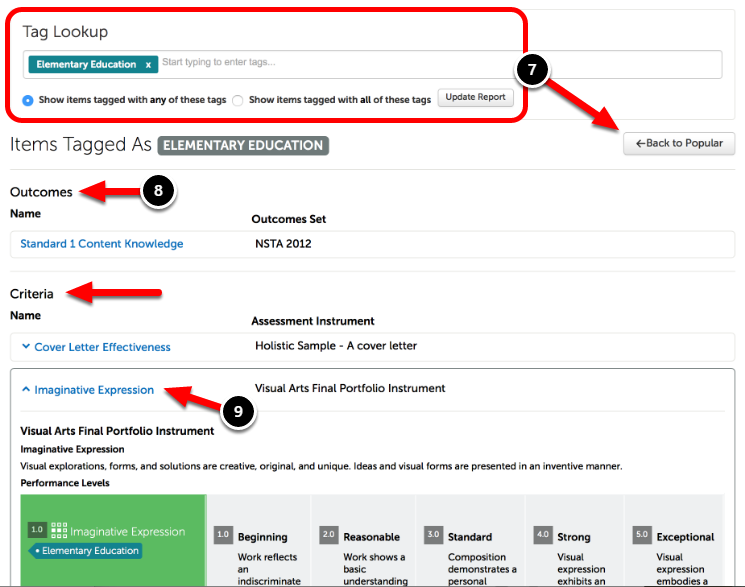 Depending on what type of content you tagged, this will display the criterion, student's submitted work, entire assessment, etc.